Home By Level of Study Rising Above and Beyond: How to Bake the Distinction Cake? Rising Above and Beyond: How to Bake the Distinction Cake? Scoring a Distinction, especially in one of the best schools in the world, is not easy. When surviving classes is already a struggle, how is one supposed to think about being a champion among many highly-intelligent classmates? Our contributor, Amirah Kaca, proves that being the best in the best school is doable and she shares her secret recipe to do so. Most students start their study with excitement, optimism, and most importantly, ambition for the best result. In the UK educational system, this means one thing: Distinction. Class awards in the United Kingdom are divided into three: pass, merit, and distinction. Although distinction “only” warrants a score of 70 or above, it is actually very difficult to get. Only few students at the London School of Economics and Political Science (LSE) are awarded with distinction. 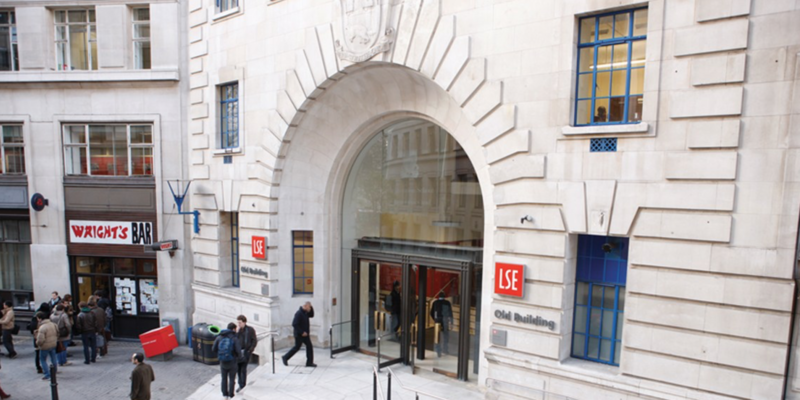 When I just started my Master’s at the LSE, I confidently handed in my first few assignments, thinking that I have done my best: I researched everything, formed persuasive arguments, and proofread texts a hundred times, only to receive a merit, then another merit, and then another merit! Some scores were even in the borderline of 69. Confused, I began to run out of ideas on how to work harder or smarter. Should I read more references? Is my writing bad? Or am I just not a distinction material? This cake analogy was actually used by a professor at the LSE and does a good job at explaining why you should not feel down for struggling to get a distinction; in fact, many professors will even tell you that you are not “expected” to receive a distinction. However, there are steps you can take to “bake” an impressive cake which will pave the way to distinction. 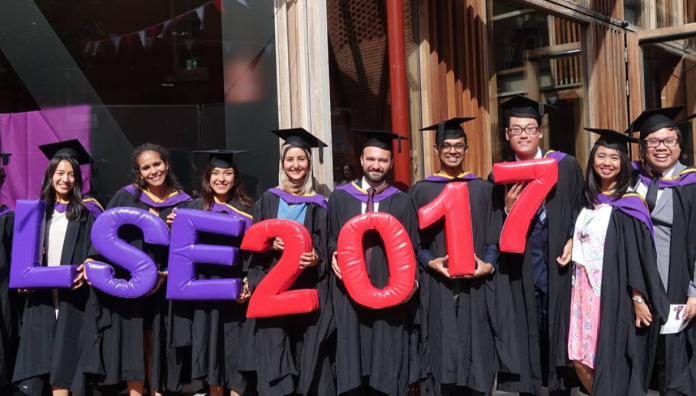 The London School of Economics is ranked the second in the world, and top in the UK and Europe for social science, according to QS World University Rankings 2018. At the start of the term, you will receive the following: the curriculum, the syllabus, and the reading list. Essentially, professors have given you a recipe for knowledge, complete with the shopping list. With those recipes and shopping lists in hand, you might be ready to bake your way to academic success. Back to my story: at first I felt obliged to exactly follow everything to a tee. Like many others, I thought that the recipe for academic success is following the carrot cake baking instruction exactly as it is. Contrary to this belief, merely understanding and retelling everything is not enough. We need to face our bake-off with an impressive cake in mind. First, make sure that you actually want to make a carrot cake: Do you really want to be in that class, and why? Read the syllabus thoroughly and don’t be afraid to ask questions to the professors about what is expected. If it is a compulsory class, make sure you understand why it is important to be there. Perhaps, learning to bake a carrot cake will give you the necessary skills for other cakes you want to make, just like how compulsory economics is prerequisite for public policy classes. Use the two weeks at the start of the term when you are free to try all the classes before you make a final decision. Perhaps you would find that you would like to bake cookies instead. The same applies to the reading list. It is typical to receive a few or several required reading lists and then an endless amount of additional readings. At first, I would just throw away the print-out of the course syllabus and just swallow whatever is in the reading list, overwhelming me with all the materials. 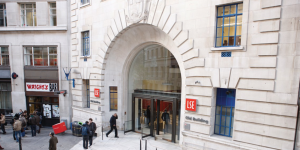 Later on, an LSE Teaching and Learning Center advisor told us one of the most important steps to studying is actually reading the syllabus and reviewing the reading lists. Instead of aimlessly reading all the papers just to tick the finished checkboxes from first to last, try to understand what those papers are about and then strategize your reading sequence. Do you want to read the most general one first? Do you want to read the ones from your favourite authors? Do you want to read the one with the case studies that interest you the most? Everyone will have a different approach to processing a topic. The reading list is, after all, just a suggested shopping list. Some ingredients are important and can’t be left out but some others can be eliminated, changed, or added according to your own liking and purpose. Do not resign yourself to whatever the professors put on the platter. Be in charge of which materials you want to process, and how. Planning ahead will also allow you to think critically throughout the readings: how does the paper relate to other readings? How does it fit the big picture? Why has the professor chosen this particular piece of work? When you proactively tailor your study, you will also find yourself more excited by the topic. Make sure you follow all the basics and understand the most essential concepts so you can produce a carrot cake instead of a cookie. If you try to bake one without using carrots, of course you are going the wrong path. It is better to first strive for a simple perfectly edible carrot cake than aim for an impressive cake only to burn it to bits. Having a good grasp on the basics is more important than having a splotchy understanding of advanced materials all over the place. As a Master’s student, you will be given intermediate materials you might not have received the basics for in your undergraduate studies. This is a common situation as graduate students tend to come from various backgrounds. My MPA class had many civil servants and economists but it also contained engineers and lawyers. It is possible that your classmates have the advantage of knowing the basics while you do not, but then it is your responsibility to catch up. However, do not start immediately reading intermediate textbooks in the reading list, which will be a stress-inducing (and pointless) endeavor. Start by reading basic introductory books; it doesn’t matter if you read ‘For Dummies’ books, work on high-school level exercises, or watch Khan’s Academy videos for your study. What matters is that you understand the concept fully before you can tackle the intermediate book. Being able to put the frosting means having a deep understanding of some of the materials. The most common mistake people make is trying to spread it too thinly across the chapters or too deeply into all of the chapters. The first mistake will not get you a good mark, and the second will just frustrate you. In the UK exam system, you will be given a set of questions but you are not required to answer all of them. Usually there will be a mandatory section but you are only required to answer a couple or a few of the remainder. Don’t spread your brainpower too thinly over all the materials. You should understand the basics of all chapters but really only master several of your choosing for the exam. Your strategy will depend on the class and your own interests. Make sure you are clear on how the questions are going to be arranged, then strategize by studying past exams and consulting the professor or teaching assistant. I tend to choose chapters where I can find connections among them. Aside from having proper understanding of all the contained theories and using them to form arguments, you are expected to combine ideas cross-chapters. Finding the link between different chapters would enable you to do so with greater ease. You now have a delicious carrot cake with frosting. How do you take it further? It does not have to be as absurd as dancing fairies and fireworks, but there are infinite aspects that you can innovate on. Do you want to make a delicious carrot cake but with healthier ingredients? Do you want to introduce a new baking process, cutting production time by half? Do you want to make something that is just out of this world? Although so far the recipe and shopping list has guided you in making a delicious cake, you’ll realize your next mission will be to tweak them. You now will have to start thinking about your ideas in many different ways. Experimenting will feel very risky and difficult at first, but will ultimately be rewarding. There are endless avenues to do this during your master’s study. To start with, universities hold amazing public lectures and contain libraries for exploring other readings, be they books under related sections or other journals. The librarian can give you advice on how to search for literatures and what journals might be of your interest, so it is good to be acquainted. Most importantly, have frequent discussions your classmates. Towards exam times, go through previous exam questions with a study group as prompts for discussion. Share additional sources you have found; other members of the group will reciprocate with their sources too. 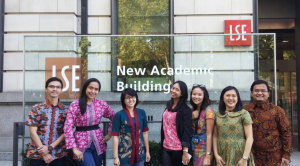 A sharing culture in class is necessary and I believe this is what got me through LSE. People are bound to have blind spots and wisdom of the crowd is the only way to overcome them. Do not keep recipes and baking tricks to yourself: It’s a win-win situation when everyone shares. 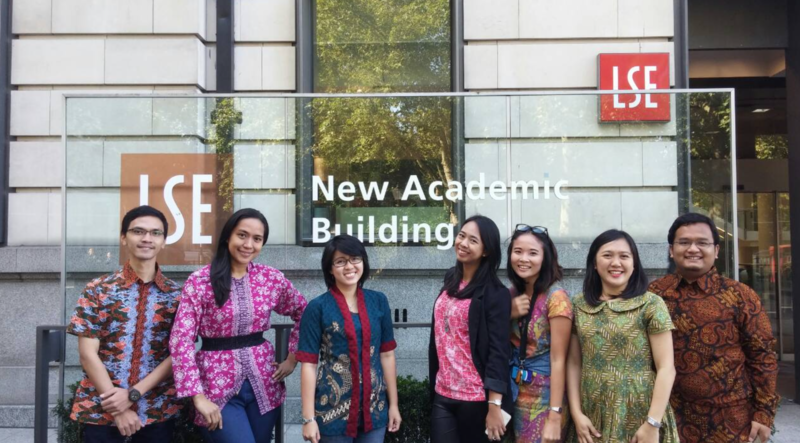 Amirah Kaca Sumarto graduated with Distinction from the London School of Economics and Political Science (LSE). She studied Master of Public Administration in Economic Policy. She is a former technology professional at IBM, pivoting into public sector reform works. She continued to work as Public Sector Consultant for Governance Global Practice in the World Bank, working on projects related to e-government, civil service reform, and public financial management. She is now running for office (DPR-RI in Kalimantan Utara electoral district) with Partai Golkar in the coming 2019 Indonesia General Election. In her spare time, she loves sketching, adventure in nature (diving and hiking), reading books, and sharing her thoughts with her book-club, Baca-Rasa-Dengar.